The South Australia Wing of the Australian Air League are pleased to announce they have been awarded a grant for 2017 from The Sir Ross and Sir Keith Smith Fund to help them further develop the interest in aviation of its cadets. The Sir Ross and Sir Keith Smith Fund was established in 1986 by Lady Anita Smith, widow of Sir Keith Smith to commemorate the achievements of these two South Australian aviation pioneers, Captain Sir Ross Smith K.B.E., M.C., D.F.C., A.F.C., and his brother Lieutenant Sir Keith Smith K.B.E.. Lady Smith recognised the need to stimulate local knowledge and innovation in aerospace technology, and directed that the Fund be applied in perpetuity for the advancement in South Australia of the science and education of aeronautics. In 1919 a prize of £10,000 was offered by Australian Prime Minister Billy Hughes to the first aircraft to fly from London to Australia in 30 days or less. Taking up the challenge, the Smith brothers along with two mechanics Sergeant W.H. Shiers A.F.M. and Sergeant J.M. Bennett A.F.M., M.S.M. 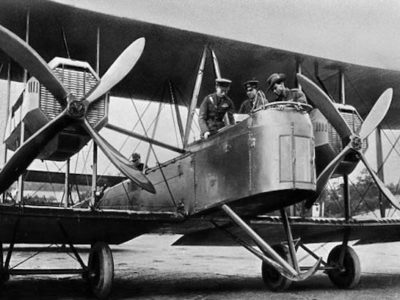 departed the UK in a surplus Vickers Vimy bomber, completing the challenge in 27 days and 20 hours, earning them the prize money and a place in Australian aviation folklore. While Sir Ross was tragically killed in 1922 while preparing for an around-the-world flight, Sir Keith went on to become the Australian representative of Vickers aircraft company and a director of several airlines and other public companies. Sir Keith also served as a Vice President on the Council of the Australian Air League during the 1940s, giving the award special significance for the Air League.